With big news in the prepaid credit card market this week, including first, MasterCard’s announcement of a new debit card for the nation’s 9 million (and growing) unbanked or unbankable consumers, and then with Green Dot Corporation’s announcement that it’s taking its IPO public this week, we thought this would be a great time to take a look at a few prepaid debit and credit card options. This is one of the more popular prepaid products on the market today, partly due to its low fees and easy access (you can purchase them in any Wal Mart store). Adding money is easy and costs $3 when you load your card at Wal Mart. Direct deposits are complimentary and the MasterCard zero liability insurance is an added bonus. There’s no application fee and a small monthly maintenance fee. ATM balance inquires are $1. Carefully review the terms and conditions, as these have important information for anyone considering the Wal Mart Money Card. 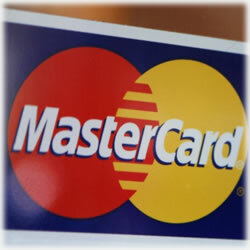 This is considered a full-featured MasterCard credit card. No credit history or minimum score is required for approval and it reports to all three credit bureaus, which allows users to establish their credit history easily. It’s ideal for those just beginning a credit history, too. Because it’s a secured credit card offer, you’ll be required to deposit between $300 and $2,000 (based on what you want your credit limit to be). No worries though because your deposit is held at a FDIC insured bank. The interest rates are comparable with other offers, making this a smart choice for many consumers. Remember, this is the company that’s expected to launch its first IPO later this week with many analysts predicting shares coming in strong. It’s interesting to note that there will be less than 4 million shares offered, but this is a strong – albeit unusual – move for a company like Green Dot. For now, we have a lot to look forward to with this offer. It’s an ideal choice for tax refunds, direct deposits along with online bill pay and easy online shopping opportunities, too. It costs nothing to activate your Green Dot and you’ll enjoy access to more than 18,000 MoneyPass ATMs, too. Your first MoneyPak cash load earns you a $4.95 credit and provided you make 30 purchases each month, there are no monthly fees. No worries about overdraft fees, either. Finally, you’re not saddled with minimum balance requirements, either. Interested? It’s easy to add one of these prepaid cards to your wallet. A $9.95 application fee is only deducted after your funds are loaded for the first time onto your account. With several options for loading those funds, this is one of the more popular prepaid debit card offers out there. Clearly, this particular sector within the credit card industry continues to grow; in fact, it’s expected to double by 2015. Currently there are nine million unbankable consumers – and with doubled growth, there’s certainly room for these offers and the more offers there are, the lower the fees for consumers looking for an affordable way to manage their money. As always, however, we strongly encourage consumers to carefully review any offers they’re considering. Also, pay attention to the fee structures with prepaid debit card offers. That old saying of the devil being in the details certainly holds true when it comes to managing our money. One wrong decision can cost far more than a headache. Take the proactive approach and you’re sure to stay a well-informed consumer.